for becoming one of my INNER CIRCLE readers! Links to all my up coming books will be on this page when they become available to my Inner Circle. Below are two books to get you started. You will need to enter your secret code to download them. 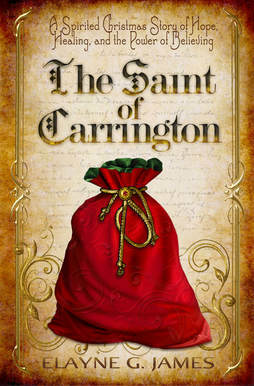 THE SAINT OF CARRINGTON: A Spirited Christmas Story of Hope Healing & the Power of Believing is a warmhearted tale of love, loss, the power of family, and the magic of Christmas for all ages. 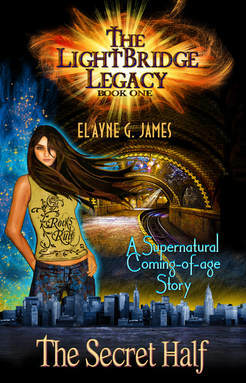 THE SECRET HALF: A Supernatural Coming of Age Story [Book One in THE LIGHTBRIDGE SERIES] chronicles the extraordinary adventures of a young teen with a unique 'soul signature,' who's chosen by a race of ancients to inherit the most powerful magical object in the world.